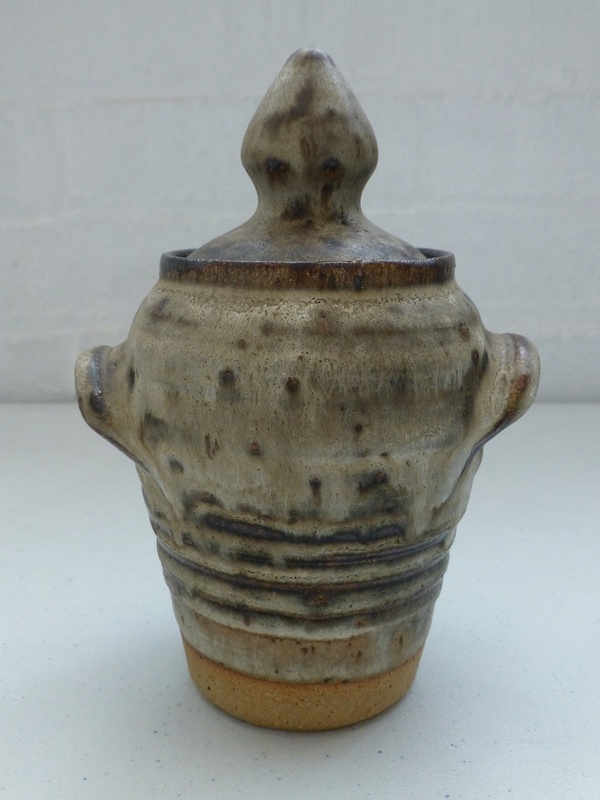 Lidded Jar with Finial top Backwards r and a b ?? 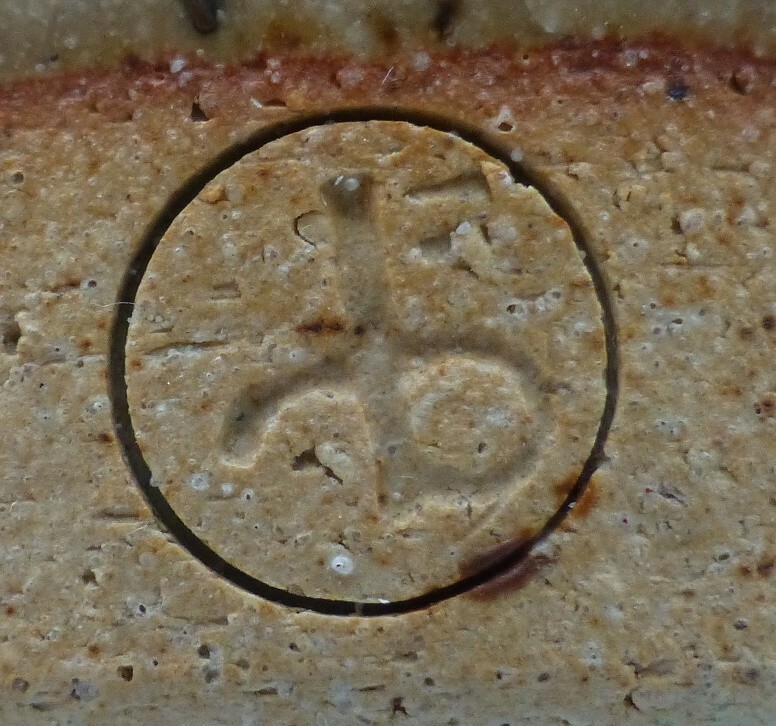 Not a thing of absolute beauty but an interesting mark - can anyone shed further light on the pottery? 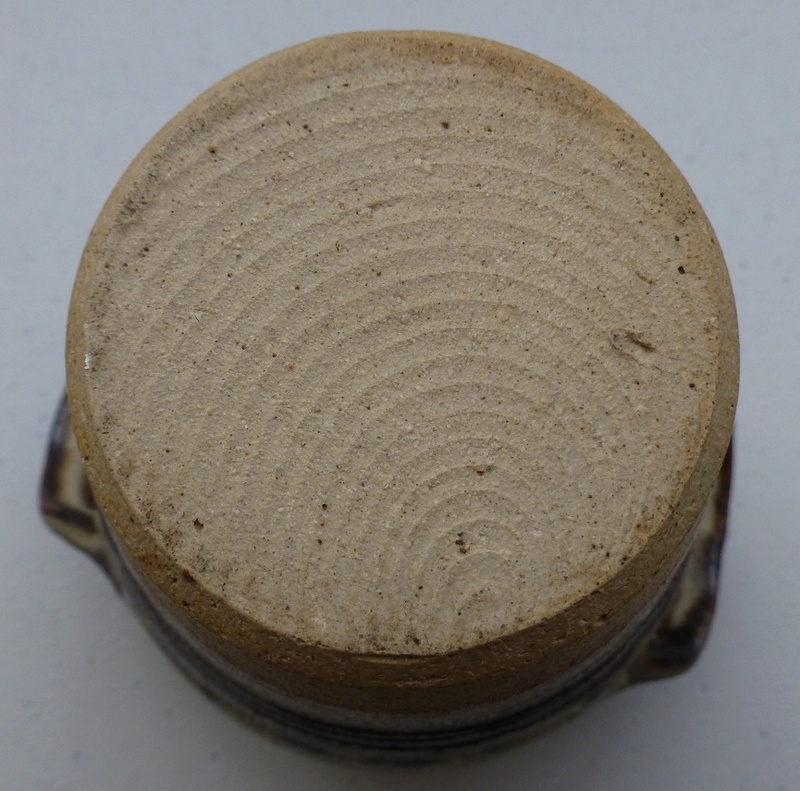 Re: Lidded Jar with Finial top Backwards r and a b ?? I’ve come across it a few times but not IDed it. Another one here with a hand mark.